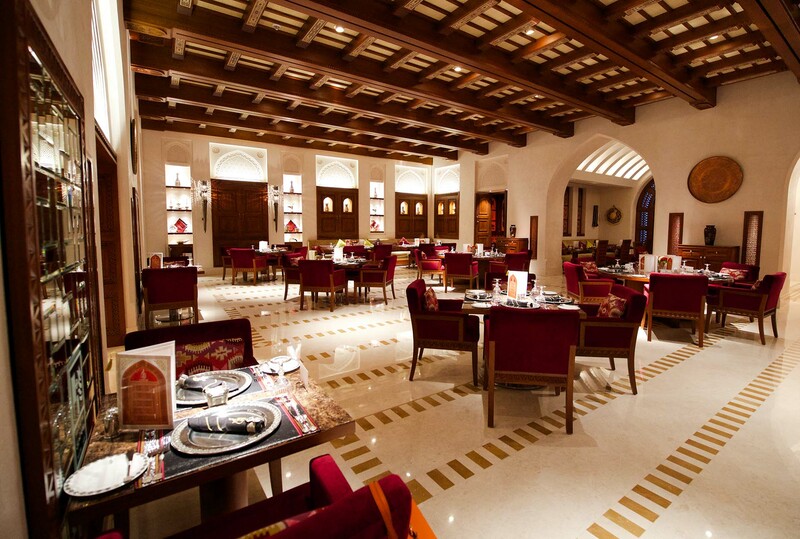 The restaurant serves the most delicious Omani traditional dishes like Shiwa, Harees, Jareesh, O’rsyia and many others. The visitor experiences the Omani hospitality once interring the restaurant which starts by the warm reception of the Omani staff and superior services to make him lives finest moments in an atmosphere of harmony between the splendor of the present and the authenticity of the ancient past. Kindly note that confirmation is only based upon our response by an email. Children under the age of 6 years old are not allowed at Al Angham. We accept both cash and debit/ credit card payments. Guests can select from set menus / alacart or promotional set menu. Bookings may be made by contacting Al Angham Restaurant by email at reservation@alanghamoman.com or by telephone on +968 22077777 / +968 94361111. Dress code is smart casual. Shorts are not allowed. We don’t serve alcohol and smoking is not allowed at Al Angham. In case of dinning at Al Angham for certain occasions like birthdays and anniversaries etc. cakes, décor and birthday props are not allowed from outside the restaurant. You may ask for cakes at least 24 hours before the reservation. We serve only lunch and dinner.